Functioning as both a bookshop and a publishing house, the people at Cairo’s Al-Balsam definitely know their stuff when it comes to books. However, this is a shop which is looking ahead for ‘the next generation’, and has made its name through specialising in literature for young adults and children. The shop has the look of a Swiss ski lodge with wooden floors and a curved staircase leading to the English language section, rendering a very inviting and cosy atmosphere. The shop even features a ‘book nook’ where eager customers can curl up with any book that takes their fancy. The entire outfit is geared primarily towards children; next to a wall adorned with glittery finger paintings, sits a cluster of mini chairs around a mini table, where Al-Balsam hosts storytelling and creative events for children. Although we were not allowed to enjoy these delightful features, Al-Balsam caters for the more mature reader too. Despite the fashion in Cairo for bookshelves piled high with self-help books, Al-Balsam manages to keep it literary and has a good selection of fiction, beside the obligatory stack of ‘Men are from Mars…’ copies. We found classics, best sellers, and a few niche surprises such as Film in the Middle East and North Africa by Josef Gugler, all for reasonable prices, starting at as little as 30LE for a copy of Pride and Prejudice. We got the recently released The Time Keeper (143LE) by Mitch Albom from there, and The Casual Vacancy from J.K. Rowling was also well stocked. However, most of the books were paperback and if you’re looking for something hot off the press, it’s doubtful you’ll be able to find it here. As for the kids section, all the weird and wonderful stories which belong to the magical world of children’s literature were to be found in the shop. 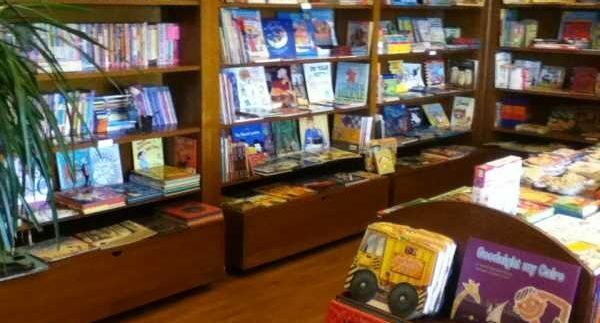 Al-Balsam’s own publishing house produces a range of children’s books in Arabic and English which include Eric Carle’s beloved tales for around 18LE, or nonfiction works for school-aged children, which form a ‘Learning and Discovery’ range, also supplied to schools and libraries in Cairo. All the books are perfect for their target readership, as they come brightly illustrated and sturdily bound. For young adults, Vampiric fiction abounds, or there’s Teach your Granny How to Text for those interested in changing the world. The shop’s staff are obviously bookworms themselves and visitors to the shop can rely on their recommendations for a good read. Both staff and stock in the shop are polyglot and there is a good balance struck between English and Arabic language books of all varieties, plus a corner dedicated to German language children’s books. Non-fiction books in cookery, politics and sports are also available, while their supply of dictionaries and language kits range from My first Dictionary (120LE) to an ‘Interactive Japanese Course’ (200LE). However, as is the curse of many of Cairo’s bookshops, there was little in the way of Arabic language guides. Al-Balsam runs events and activities for readers of all ages in both English and Arabic, so whether you’re into learning the alphabet and pop-up story books, or discussing the minutia of your latest read with others, a trip to Al-Balsam bookshop is sure to ignite a passion for reading, at any age. Check Cairo 360 events pages for upcoming events at Al-Balsam Bookshop! The welcoming and helpful staff. The lack of newly published books.